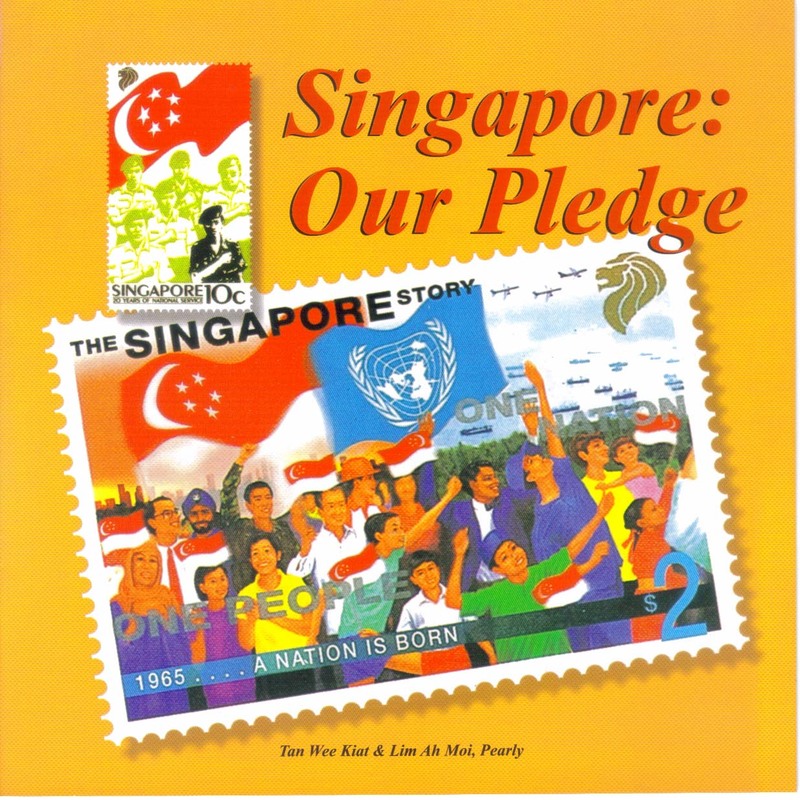 To help pupils gain a greater appreciation of the meaning of the Pledge, the authors have produced a very attractive book that illustrates the Pledge with colourful Singapore stamps. This approach should help to enhance the feelings of what it means to be a Singaporean and what Singapore stands for. It is my pleasure to recommend this book to our pupils, their teachers and parents. 2. Mr S. Rajaratnam was appointed Minister for Culture in 1959, Minister for Foreign Affairs in 1965, and Second Deputy Prime Minister in 1973. He retired from politics in 1988. The pledge was written by Mr S Rajaratnam in 1966. (We mentioned this fact here too.) But the book was written in 2003 by Dr Tan Wee Kiat and Pearly Lim Ah Moi, a retired teacher from Jing Shan Primary School. Rest assured that the book was not written for a commercial purpose – the authors did not make any money out of the book. One page of the book will be published here every Monday and Thursday, beginning 26 June 2008. At this rate, the 18-page book will end 2 months later on 25 Aug 2008. I bet you’ve never read this slowly before – about one word a day. Haha. All too soon, the VIP book has come to an end… but we pledge to come back with more. Meanwhile, we are taking a short break of one or two weeks. Watch this space. 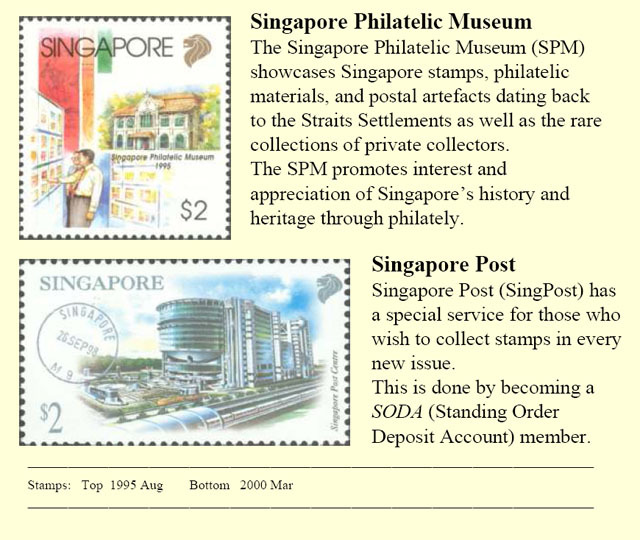 The Singapore Philatelic Museum (SPM) showcases Singapore stamps, philatelic materials, and postal artefacts dating back to the Straits Settlements as well as the rare collections of private collectors. The SPM promotes interest and appreciation of Singapore’s history and heritage through philately. Singapore Post (SingPost) has a special service for those who wish to collect stamps in every new issue. This is done by becoming a SODA (Standing Order Deposit Account) member. And now we come to our final VIP. That’s right, that VIP in the photograph is you. 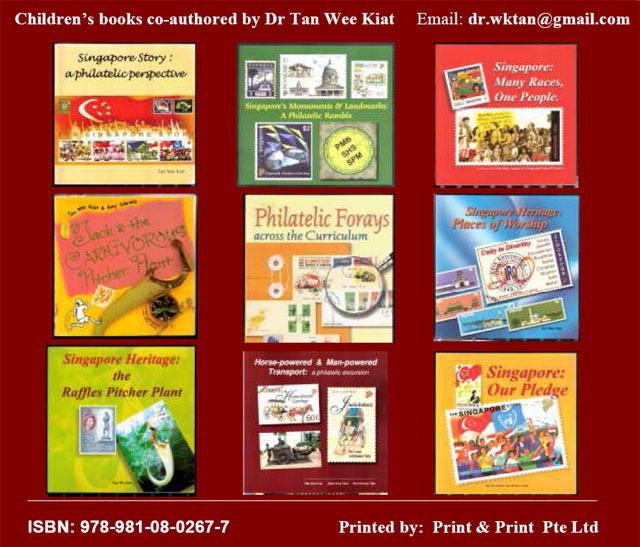 The people in the preceding pages you have just read were remembered in Singapore stamps. What about you? 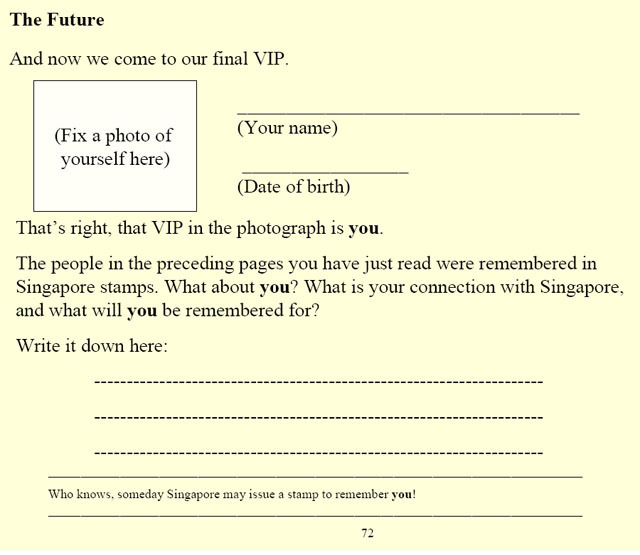 What is your connection with Singapore, and what will you be remembered for? Who knows, someday Singapore may issue a stamp to remember you!